In a Eulogy for a Friend, Biden May Have Buried the Old Democratic Party, TooBiden and his late South Carolina friend were both embodiments of a more accommodating era of politics. Can Biden “evolve” beyond it? From Breezy Beto to Wonky Warren: How Candidates Use PolicyPolicies can be an ideological marker, a signature, or even an identity. Why Joe Biden’s ‘Obama Strategy’ Is Smart — and RiskyObama’s mantle can hide a multitude of Biden’s political sins. But it also draws attention to Obama’s hands-off attitude toward 2020. What Changes When the Presidential Field Is Full of Mothers, Not Just FathersFatherhood has generally worked as a bonus for male politicians. For women in politics, motherhood is much more complicated. Mom vs. Dad on the Road to 2020The cruel double standard at the heart of American politics. The 10 Worst Presidential-Nomination CampaignsThere have been plenty of woofers — and warnings — for the 2020 presidential field. Why Democrats Could Pick a Nominee Sooner Than You ThinkWhile pundits like to dream of a contested convention, an early knockout remains a real possibility. Who’s Leading the 2020 Democratic Puppy Primary?An Instagram-friendly family dog is the must-have accessory of the Democratic primary. Pete Buttigieg’s Favorite Book Is Ulysses, and That’s GreatMaybe you’d prefer Joseph Campbell, or Fox & Friends? 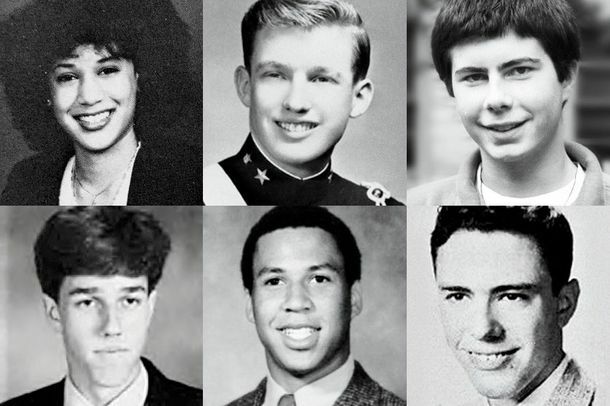 A Yearbook of the 2020 Presidential CandidatesAmong these major-party contenders, we found a debate champion, varsity athletes, student-government leaders, and a few very enthusiastic music fans. 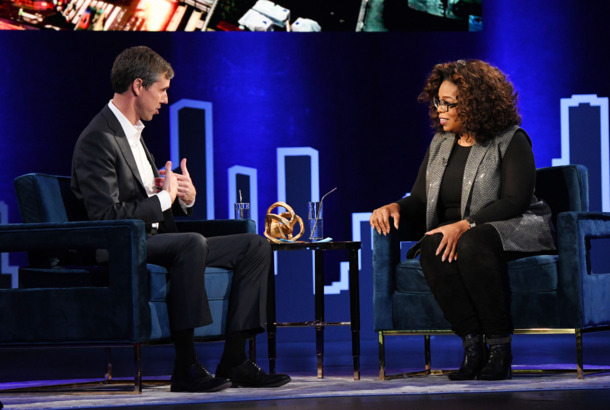 Trump’s Border Rhetoric Is Overblown, But Democrats Still Need a SolutionBeto O’Rourke is calling for more assistance to alleviate the humanitarian crisis in Central America. Other 2020 candidates should take note. Are Some 2020 Democrats Using Google Translate for Their Spanish Websites?Grammar errors and passages seemingly ripped from Google Translate are emblematic of 2020 Democrats’ larger problems with Spanish-speaking voters. Should Democrats Worry About Political Experience in 2020?Democrats have the choice of heavily credentialed and inexperienced candidates for president against the president who broke the mold. Intelligencer Chat: Does Beto’s Policy Vision Matter?Some Democratic candidates are ultraspecific about what they’d do in office; others are mostly vague. How much do voters care either way? Beto and Bernie Offer Competing Plans to Fix Health CareMedicare for All is still the dominant Democratic health-care idea for 2020, but the less ambitious plan backed by O’Rourke could be a competitor. Beto Simply Cannot Stay Off the CountertopWhy does he love standing there so much? Beto O’Rourke Is Officially Running for Totally Kind of HotBut can he win? What Beto Backlash? Fundraising Haul Undercuts Reports of a Disastrous LaunchDespite negative reactions among journalists and on Twitter, his campaign raised $6.1 million in the first 24 hours, beating Bernie Sanders’s record. Frank Rich: The Senate’s Rebuke of Trump Isn’t a GOP RebellionIf Susan Collins is the party’s profile in intellectual courage, it’s hard to know whether to laugh or cry. Extra Extra! Beto Is Running & His Hand Gestures Are Weird!Late night hosts weighed in on the new presidential hopeful. Beto O’Rourke’s Candidacy Is Already Making Women UneasyHis announcement seems to have highlighted misgivings over how certain candidates are treated in the media. Remember the Thirsty Beto Tweet?Now that he’s running, I miss it more than ever. Beto O’Rourke Has a Good Reason He’s Running. He Just Can’t Say It.Being a telegenic communicator is actually a good argument for heading up the ticket. Who Wrote It: Beto O’Rourke or Karl Ove Knausgaard?The two share a taste for writing zoomed-in portraits of the moment-to-moment realities of being alive — regardless of how boring they might be. The GOP Is Already Attacking Beto — for His White Male PrivilegeThe Texas congressman isn’t an official 2020 candidate. But Republicans are already attacking O’Rourke from the left on the airwaves in Iowa. Republicans Are Going to Try the ‘Red Scare’ Strategy in 2020. Will It Work?Americans are now less hostile to socialism, but Republicans will still try their old strategy, as they need a distraction from Trump’s shortcomings. Big Trend Among Democratic Presidential Candidates: CapitalismWhile socialism is all the buzz in certain elite circles, old-fashioned regulated capitalism still prevails among most of Bernie Sanders’s rivals. Why Beto Left New YorkHe nannied! He lived in a Williamsburg loft! What else was there for Beto O’Rourke to do? Some Beto O’Rourke Superfans Traveled to NYC Just to See Him With OprahWe spoke to a few about their experience seeing him in the flesh. Of Course Beto O’Rourke’s Band Was Called Fragile GangA glimpse at our moody blogger’s music history. 2020 Candidates Carry Heavy Baggage, and Trump Is Sure to Exploit ThatToday’s harsh intraparty criticism, most recently aimed at Kamala Harris, will become fodder for Trump’s war on his eventual 2020 opponent. What ‘Lanes’ Will the 2020 Democratic Candidates Run In?In a field this large and complicated, it will be tempting to imagine sub-primaries to winnow the numbers. But it may not work out that way. Beto O’Rourke the Latest Potential Presidential DrafteeO’Rourke isn’t a war hero or a national leader like most earlier candidates being courted for a presidential run. But it helps him stay in the news. Why the Bernie Movement Must Crush Beto O’RourkeA movement and a candidate on a collision course. Could a Huge Field Lead to the Democrats Nominating Their Own Donald Trump?A huge upset by an outsider on the Democratic side is possible but not terribly likely. If Beto and Biden Got Together, Would the Age Gap Be a Problem?30 years separate the former veep and the Texas phenom. That might not be a good thing for either of them. Warning to Beto-Maniacs: Early Presidential Buzz Can Be an Omen or an IllusionBeto O’Rourke is looking very good as a 2020 presidential prospect. But others have looked just as good and have quickly flamed out or failed to run. 7 House Members Are Eyeing a ’20 Presidential Bid. History Says It’s a Long ShotIt’s been a long time — 140 years, to be exact — since someone has gone from the House to the White House. Kamala Harris’s Decision, Sherrod Brown’s Haircut, and Other 2020 TidbitsKamala Harris says she’ll decide if she’s running for president in the coming weeks, and she’s not the only potential candidate talking 2020. Beto Is No Longer Ruling Out a 2020 Presidential RunThe Texas political phenom removes one obstacle to an increasingly feasible challenge to Donald Trump.